I bought these cups and saucers about a month ago at a cool antique store. 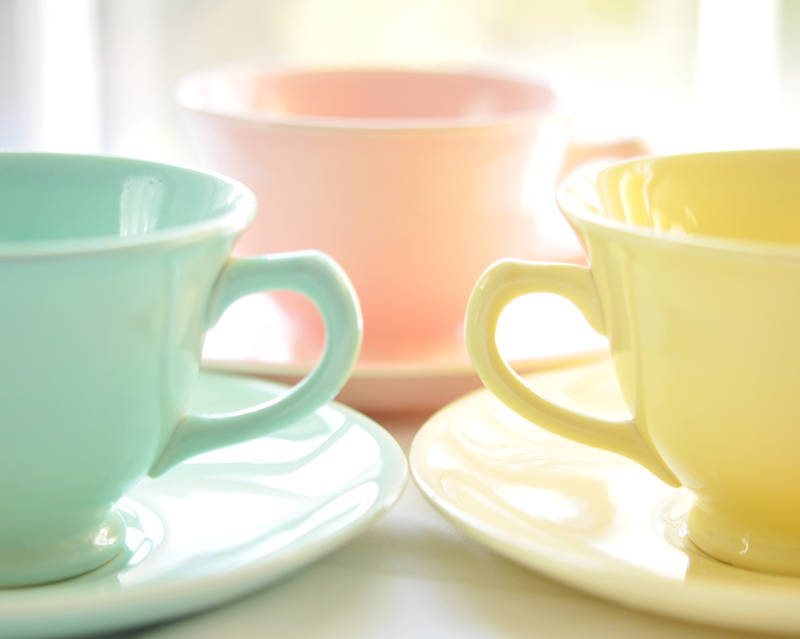 They remind me of the beautiful cups my mother and grandmother used for coffee and tea. No ordinary ceramic mugs for them–it had to be bone china. These are not that fine, but I love the frozen-sorbet colors. Wow, I just found out this photo made Explore on flickr! I can’t believe it–nothing for a year and then twice in two months. What a nice way to start the day. Hope yours is going well too. This entry was posted in photography and tagged china, Flickr Explore, soft light, teacups & saucers. Bookmark the permalink. Thank you! It was a nice surprise. Great job! Maybe your name is out there now so flickr is going to happen more often. Who knows? Not really sure how Explore works on flickr, but it’s always nice to get more views. A wonderful picture and very nice cups too. The type you’d find in an Italian gelateria. Thanks, Caroline. I love gelato. Nice photo from beautiful cups. I especially love the tone of Your photo. In Finland we drink most coffee, not so much tee. That is why we have the unique Coffee Cup Museum in Finland, only one in the whole world. It is not what so ever museum but full of coffee cups around the world. I wish to You very happy five o’clock tee moments! Thank you! The photos from the museum are amazing. I’d love to see that sometime! Glad you stopped by.